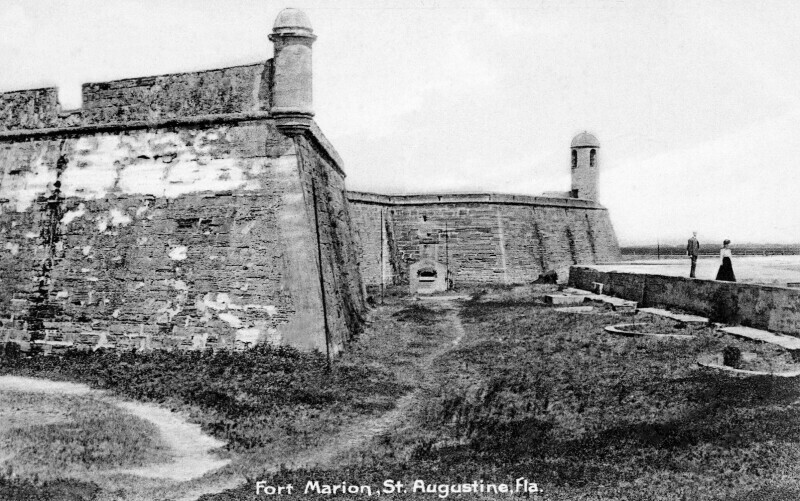 This photographic postcard provides a close up of the masonry walls of Fort Marion. The walls were built with coquina. A man and woman are standing on one of the retaining walls that keep the glacis stable. This fort is also called Castillo de San Marcos. It is listed on the National Register of Historic Places, and is a National Historic Landmark. WARNING: You are about to download a 1.7 MB TIFF!